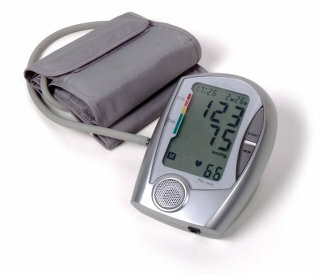 What is the relationship between salt and high blood pressure? Although salt can raise blood pressure, it's too simple to blame salt for chronic high blood pressure. Ultimately, it is deficiencies in the minerals potassium, calcium, and magnesium that cause high blood pressure and heart damage. Americans are generally deficient in these three minerals. Why? Because the standard American diet, especially its processed food, is deficient! But by simply expanding our diet to include more fruit, vegetables, and other whole foods, we can correct those deficiencies enough to lower blood pressure. Salt is absolutely necessary for health. The body needs salt to maintain blood pressure and fluid balance, for adrenal function, for digestion, and for the function of the nervous system. Too little salt can be life-threatening, whereas the kidneys of a healthy person can process quite a lot of salt. Yet many people have "salt sensitivity," in which extra salt intake causes elevated blood pressure and fluid retention. Research has found that one half of people with high blood pressure and one third of people with normal blood pressure are salt sensitive. However, salt sensitivity may actually be caused by potassium deficiency. Potassium deficiency is known to cause high blood pressure, kidney damage, and heart damage. The kidneys need the minerals potassium and magnesium to function optimally. Research has also found a direct connection between low potassium intake and high blood pressure. It's thought that potassium deficiency causes insufficient kidney function, and that insufficient kidney function causes salt sensitivity. The study authors note that although each change individually lowers high blood pressure, making all four changes at the same time works best. An example is the Dietary Approaches to Stop Hypertension (DASH) diet. The DASH diet lowers high blood pressure as much as single drug therapy does, and it does this whether people lose weight or not. The DASH diet includes ten servings a day of fruit and vegetables. It also includes low-fat dairy, whole grains, poultry, fish, and nuts; and reduces red meat, sugar, and in some variations, salt. What amount of these minerals is likely to be beneficial to us? The Dietary Reference Intake of the minerals. This is the amount recommended by the US Department of Health and Human Services. It is similar to the DASH diet. The "Natural Diet": the minerals supplied in "unprocessed mixed foods," that of a diet consisting entirely of whole foods. Sodium 4500 mg. 1500 mg. 500 mg.
Potassium 1750 mg. 4700 mg. 7400 mg.
Calcium 440 mg. 1300 mg. 1100 mg.
Magnesium 180 mg. 420 mg. 800 mg. Thus Americans are typically extremely deficient in potassium and magnesium. Processed food contributes to American mineral deficiencies by providing calories without minerals. Grains and other foods lose minerals, including potassium, calcium, and magnesium, during processing and refining. Processed foods include junk food, white bread, and refined sugar. Processed food, not the salt shaker, provides 80% of the typical diet's sodium! And, the refined salt used in processed food and at home has had all other minerals removed. The association of salt and high blood pressure is also due to eating inadequate fruits, vegetables, whole grains, and other whole foods. A healthier diet can take into account the effects of salt and high blood pressure, and helps improve the mineral deficiencies that are the true cause of high blood pressure. A diet that emphasizes whole foods and avoids processed foods can improve overall health. You can begin as simply as reducing junk food and increasing fruits and vegetables and other whole foods.